Recently, a group of U-18 players traveled to Hungary to participate in an open chess tournament in an effort to receive an official rating. 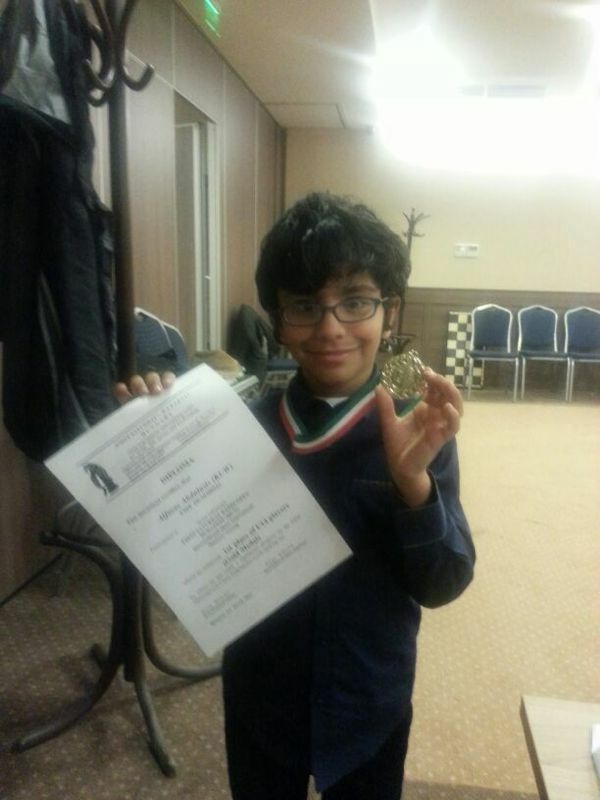 Among the youths was Ahmed Al Fares who won 1st place in the U-14 section. A great achievement to our team mate. Here is a link to an article with fuller details in arabic. Pictures are included in the Kuna newspaper.